For me amidst these and other master spirits Messiaen stands unique and is finally receiving universal attention in concert halls from critics and the customary spectators dressed in penguin suits and pearls. His influence, heard in the music of young composers internationally is now moving out to a much larger audience. Born in Avignon in 1908, Messiaen’s childhood imagination was fired by readings of Shakespeare, fairy tales, and his mother’s poetry. At the age of ten came ‘the most decisive influence of my life’. His music teacher gave him a score of Debussy’s “Pelleas et Melisande” – “it was love at first sight, I cried”. In his teens he was at the Paris Conservatoire and the usual child prodigy stories abound. His piano teacher wanted him to be a concert pianist, his organ teacher was convinced he was a master organist. 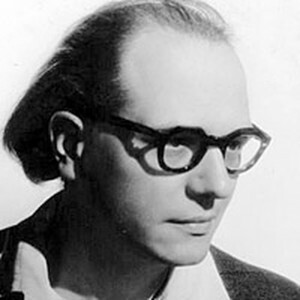 But right from the start Messiaen was convinced “I am not a performer, I am a composer”. He diligently studied plainsong, Hindu rhythm and Greek modes and started his sixty year long passion for notating birdsong. Absorbing everything, he was never a raw imitator as even his earliest compositions show, an inimitable new voice had announced itself. No one has described Messiaen’s music better than Messiaen himself: “Pure music, profane music, above all theological music (not mystical, as many of my listeners think) alternate through my works. I do not really know whether I follow any aesthetic pattern but I can say that my preferences are for music that glistens, that is refined, and even voluptuous – but definitely not sensual! Music that sings – all honour to melody and the melodic phrase! Music that has new blood, which has the stamp of a master, an unknown perfume, a never sleeping bird. A music in stained glass, a swirling round of complementary colours. A music that expresses the end of time, ubiquity…. what hidden vibrations and mysterious symphonies there are in a star, a cloud, a child’s eye!…. the only thing I can affirm is that I can write nothing that I have not lived through!” (From an interview in the magazine ‘Contrepoints’, March/April 1946). Sitting in a room in the Faculty of Music at Melbourne University, slouching slightly, looking detached like a Zen master who has no use for words, a Gallic volubility suddenly animates him when the subject inevitably turns to music. Stefan: You have said that all your music has been inspired by your spiritual beliefs. In your introduction to ‘Visions De L’Amen’ you’ve written “Time sees the birth inside itself of him who is eternal”. Are you concerned that non-believers or the public in general may not be interested in any of this? Messiaen: That’s an enormous drama. When I hear music I see colours. The people who hear my music don’t see anything. To love my music they should be able to see the colours. I use Indian rhythm, Greek rhythm, people who listen to my music understand military marches but don’t understand these rhythms. I use birdsong in my music and people who listen to the music are from the city, they never get up at 4 a.m. to listen to the birds in the country. They’ve read in books that birds sing but they don’t know… my masters are the birds, they’ve discovered everything, quarter tones and even collective improvisation… I believe in God, I believe in Christ, I believe in the Resurrection of the flesh and I write music for people who don’t believe in any of these things. I’ve worked sincerely, what I’ve done is true, is real, but even if people don’t understand it, something gets through, because truth will always triumph. Messiaen has always been a fearless innovator. Francis Routh said of him that he had a dynamism and sincerity “which impresses itself on even the most reserved Anglo Saxon”. Stefan: Do you find new things when you listen to your early music? Messiaen: I can’t judge my early music. I’ve started some perilous things in my life. In my opera “St. Francis” it happens that an angel appears to Francis and plays the viola – it’s a sound from the other world and Francis faints. I have a painting of St. Francis seeing the angel and in the opera I put the words ‘Here is the music of the invisible’. It was impossible to do – but I did it (a cheeky, boyish grin) – I did it in a very simple way, I looked for the most pure melody that you can find. I put three ondes martenot in three places in the theatre. These ondes martenot are new sounds, very celestial, they were accompanied by strings, than a chorus because the sound was a human voice – but the chorus was not there – they were in another part of the theatre and the sound was transmitted from the dome. The effect was extraordinary. Stefan: Which of the old masters do you listen to? Messiaen: I love all music that is beautiful. In June 1940 Messiaen was captured by the Germans and taken to Stalag V111A in Silesia. Stefan: Was it your faith that kept you going in the concentration camp? Messiaen: (A laugh) Yes, because I went for a year without solid food. I was very fortunate, I had a cellist, a clarinetist, and a violinist with me. But we did not have instruments. A miracle – a German officer gave me pencil and paper. When all the chores were finished I hid in the block where the priests lived and I wrote and certainly I was helped through. But I did not hear my work until the day the German officers decided to give a concert for the prisoners. I have very good internal hearing, after writing it (‘The Quartet For The End Of Time’) I never changed a note. This concert is the most extraordinary memory of my life because I was playing my work in front of 30,000 prisoners who did not know music. They were from all classes, all mixed, they were unhappy and miserable as I was and many of them were in tears when the music finished. A didactic digression. The word ‘genius’ spontaneously comes to mind when analyzing Messiaen’s music and techniques but it is used so freely these days you look for a different epithet or phrase to do him justice. In the world of popular music the word genius has been used to describe many musicians who have tapped into the heart of African American gospel, blues and jazz and produced all kinds of brilliant or shallow hybrids. Genuinely talented western innovators like George Gershwin, Lennon-McCartney, Paul Simon and a few dozen more (to be generous) have been all too rare. There isn’t much around that hasn’t been done by known and forgotten Afro-Americans. As Wynton Marsalis has pointed out, jazz is the classical music of the last century. Have a listen, in terms of pure musical enjoyment it’s more than worth the trip. Considering Messiaen’s Christian heritage I thought comparison with a devout master of the past might shed some light on his ideas on musical illumination. Stefan: When Handel was writing ‘The Messiah’ he said he was simply channeling the music from above. Do you feel this happens with you too? Messiaen: The prophets of the Old Testament were inspired by the Holy Spirit but I don’t have any pretensions to believe I am inspired this way. For me music and subject go hand in hand. I believe in religion inspiring the music – they are one. Stefan: Do you pay attention to criticism? You have been criticized for being obscure, too eclectic, too sensational and so on. Messiaen: I have been badly criticized for at least 20 years, the critics were my enemies. At the premier of my work ‘Chronocromie’ 2000 people whistled (in France that’s disapproval). I went on the stage with the conductor and I waited until it stopped. I am a human being. Of course praise makes me happy, criticism upsets me, but it is of no importance. What is of importance for me is that I write music because I have to. Sir Thomas Beecham was once asked whether he had heard any Stockhausen. ‘No’, he replied, ‘but I believe I have trodden in some’. An amusing bon mot but it’s this kind of pig-headedness that shuts people off from exciting new worlds of music. Stockhausen and Boulez, both pupils of Messiaen, and Messiaen himself stretch our imagination and our ability to hear such strange new beauty. Stockhausen in his turn has animated a new generation of listeners and a new school of composers. Stefan: Are you surprised at the direction your pupil Stockhausen has taken? Messiaen: (A little chuckle) This is someone who mixes all religions up. He was a man of genius at the beginning…. (a pause, perhaps feeling he is being unkind to a devoted disciple) but he still writes very beautiful music. Stefan: Another pupil of yours, Ngyuen Thien Da has said of you that “by his faith he is more oriental than an oriental: his creative process moves from the interior to the exterior”. Messiaen: (Looking surprised) It must be true. I have made a few trips to Japan. Japanese are mainly Buddhist and Shinto. I was amazed at their sense of the sacred. Stefan: How did your interest in Indian music develop? Messiaen’s music may be mystical but Messiaen himself does not claim to be mystic in character. His Catholicism was narrower than I expected, almost medieval in ideology. Yet his music transcends his own definitions and crosses all boundaries and defines love all the way from ethereal romanticism (‘The Garden Of Loves Sleep’) to the union of nature and god, human beings and angels (‘From The Canyon To The Stars’). He once said “My music is not nice, it is certain. I am convinced that the invisible exists more than the visible and that joy is beyond sorrow. Beauty is beyond horror”. Messiaen: In the concentration camp I was asked by the priests to give a lecture about the colours of the Apocalypse and in Silesia you see the Aurora Borealis every ten years and it looks like drapes of green and purple. Because I was hungry I had dreams in vivid colour. In the Book of the Apocalypse you find a passage which refers to the angel who raised his hand to the sky and said there will be no more time. It is a very important character because he has the colours of the rainbow around him… and as you know since Einstein’s theory there has been no more ‘time’… space and time and the universe are connected, they are bound together… so I wrote this quartet for my friends in the camp and also for the angel who said there would be no more time… so we come back to the Big Bang theory. We cannot say there was a ‘before’ – there was nothing but the Big Bang. There was God. This is my theory and I expressed it in my opera ‘St. Francis’ – that is that God thought the Big Bang… not thought about it simply but thought about it with all the consequences. And the moment something has started to be and to move there has to be space and time. Messiaen’s words at times undervalue his music. As one of his pupils said, it’s like fireworks exploding in your mind; there is no dogma in this experience, only an ecstasy that rises above divisions. Messiaen seemed to be unaware or uninterested in the fact that his brand of Catholicism has close links with Hinduism, his idea of god ‘thinking’ the universe being an example. He is fiercely independent and happily demolished another one of my theories. Stefan: You must have been influenced by Scriabin, the theosophist composer – particularly his ‘Poem Of Fire’. Messiaen: You take these personalities who are completely out of context. Scriabin was a doubtful religious personage. He tried to make a comparison between sound and colour and failed. But he is nevertheless a great musician of very great value. But he and Teilhard De Chardin have absolutely nothing to do with me. Stefan: For me the “Turangalila Symphony” is the greatest of the modern period. Where would you place it in the context of 20th century music?